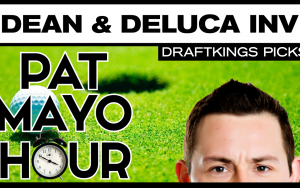 Pat Mayo discusses his favorite 2016 DEAN & DELUCA Invitational DraftKings Picks while previewing the course and the week in DFS Golf and betting. 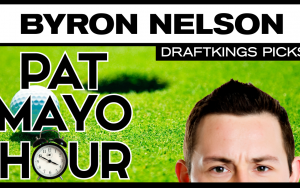 Pat Mayo discusses his favorite 2016 Byron Nelson DraftKings Picks while previewing the course and the week in DFS Golf and betting. 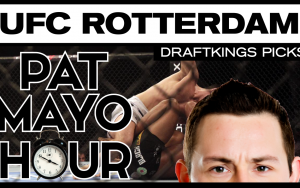 Pat Mayo and Fight Network’s Cody Saftic go fight-by-fight discussing their DFS MMA DraftKings picks for UFC Rotterdam from Curitiba, Brazil on May 14, 2016. The guys discuss the value differences between DraftKings Pricing and Vegas Odds, which fighters to target for your DFS lineups and the best bets to get a quick finish. 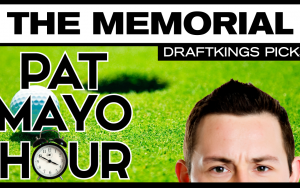 Plus, a look at the rumored McGregor vs. Mayweather boxing and the internet buzz about a UFC Sale. 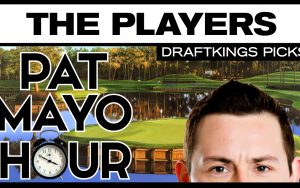 Pat Mayo discusses his favorite 2016 The Players Championship DraftKings Picks while previewing the course and the week in DFS Golf and betting. 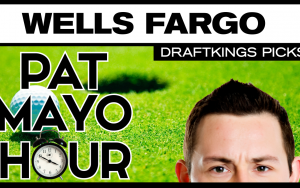 Pat Mayo and Denis Esser discuss their favorite Wells Fargo Championship DraftKings picks. 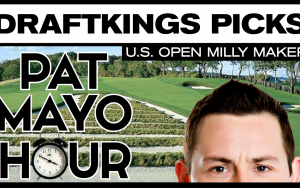 The guys preview the course, debate the best roster construction for the week and explain which players are best suited for DFS cash games and which should be deployed in guaranteed prize pool (GPP) tournaments.